What’s the Best Keto Friendly Protein Powder? 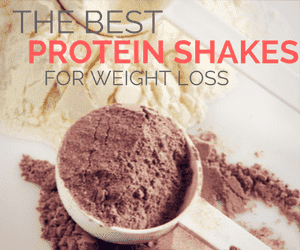 Protein powders are a popular choice for weight loss. They offer the ability to increase protein intake easily and can provide extra nutrients at the same time. Using them can help keep your hunger in check, making it easier to lose weight. Even though ketosis is a moderate protein diet, protein powders can still be an effective tool – as long as you choose the right ones. This post looks at six of the best keto friendly protein powders. Multiple types are represented, including whey protein and vegan options. Want a fast answer? Skip straight to the product comparison! Naked Whey is precisely what the name suggests. The product contains just whey protein concentrate – nothing more. This makes it very low in carbs and there are no added ingredients to worry about. The style means that all the nutrition you get comes from the protein itself. That includes BCAAs and other amino acids. The product is also gluten free, GMO-free and soy free. The company also avoids growth hormones and the milk is sourced from small dairy farms with grass-fed cows. However, the whey only approach does mean that the product isn’t flavored at all. You’re also not getting nutrition from added ingredients. The simple solution is to use the powder as an ingredient in shakes and recipes. Reviews suggest it works well in this role. As the name suggests – this product focuses on containing no carbs at all. To do this, the main ingredient is just whey protein isolate. There is also a range of vitamins and minerals added, along with artificial and natural flavors, soy lectin and xanthan gum. The approach means you’re getting roughly 50% of the RDA for various vitamins and minerals. The shake should also dissolve better than Naked Whey. It is flavored too (vanilla), so it would be easier to use. But, there are more ingredients, including some less appealing ones. Reviews for the shake tend to be positive and it is a popular brand. There are also other zero carb flavors, such as alpine punch, apple melon and mint chocolate chip. Vega is a popular choice if you’re a vegan or are on a plant-centered diet. The shake uses plant-based proteins from multiple sources. Other natural ingredients are also included, such as spirulina, quinoa sprouts and kale powder. The shake tends to mix well with water. It also lacks the unpleasant chalky taste that is in many other brands. Because of this, reviews about flavor and mixing ability are generally positive. There are currently three flavors to choose from – chocolate, vanilla and mocha. The shakes contain roughly 25% of the daily intake of some vitamins and minerals. This makes them less powerful than full meal replacement shakes but you are still getting some nutrients. The product is also labeled as being both non-GMO and gluten free. Just be aware that the Vega Essentials line is just one set of shakes from the company. Some of the others are higher in carbs, such as their all-in-one shakes. Garden of Life is a popular brand and this product is certified organic, while also being soy free, dairy free and gluten free. It is also a raw product, which may be appealing. There are four flavors available – chocolate, vanilla, vanilla chai and unflavored. Reviews suggest that this product is hit or miss. It is commonly purchased and many people do love it. Nevertheless, there are more negative reviews than normal as well, often related to flavor. For example, some customers find that it tastes awful, while others love it. This suggests that you may have to try it for yourself. The many positive reviews still make the powder worth considering and it is an especially powerful product. There are some negative reviews about other aspects of the product but these tend to be older. The company appears to have resolved the underlying issues, so those reviews are no longer relevant. This protein powder is common on keto resource lists and is often used as an ingredient in recipes. It offers some of the benefits that you see with whey protein and is perfect for anyone sensitive to lactose. There are three different flavors available – chocolate, strawberry and vanilla. Most of the nutrients present come from the eggs, so you’re not going to get your daily intake of other vitamins and minerals. That’s not necessarily bad – as you can get your nutrients from many other sources. Added ingredients include natural flavor, xanthan gum, sunflower lectin (non-GMO) and stevia. That selection may not suit everyone but the ingredients tend to be common on a keto diet. The largest limitation for keto is that there is no fat. That could make macro targets hard to reach. Still, few brands are especially high in fat content. Reviews do suggest that this product tastes good and mixes well. Of course, flavor preferences are very individual, so some people are less impressed with the taste. This protein powder is a little unusual compared to the other options and it acts more like a collagen supplement. It can be a good way to increase collagen intake and contains MCT oil powder as well. The focus on keto means that the ingredients and macro balance are different compared to other brands. For example, a single serving is higher in fat and lower in protein than any other option. Even so, if you used two scoops, the protein level is close to what other brands offer. This balance can work very well for ketosis, helping to keep your macro levels balanced. MCT oil is commonly used to help raise keto levels, so this is appealing as well. There does seem to be just one flavor available for this particular product. Perfect Keto does have other items but each has a different nutritional focus. For example, Perfect Keto exogenous ketones are also popular. The table below compares the various protein powders to one another. For ease of comparison, two servings of Perfect Keto are shown and only half a serving of Isopure Zero Carb. Of course, you can increase or decrease the serving size for any protein powder based on your needs and preferences. Protein is a heavily debated topic on a keto diet. Common advice states that too much protein will kick you out of ketosis. This is why keto is considered a moderate protein diet, rather than a high protein one. The theory is that your body will turn the protein into glucose and will then use some of that glucose for fuel – not fat. The process is called gluconeogenesis. But, personal accounts don’t support this idea. There’s a great post on the site Diet Doctor which highlights an experiment into protein on ketosis. The author’s experiences show that protein intake can be much higher than most people assume (you can read the full post here). There are also no studies that show increased protein intake leads to gluconeogenesis. Instead, research suggests that changes in hormone levels reduce the use of glucose, making gluconeogenesis unnecessary. The site Whey Flavor offers a more detailed analysis of why protein is unlikely to kick people out of ketosis. This means you can have more protein on a keto diet than you might expect. That aside, protein powder can be a good way to help you feel full and can reduce the temptation to snack. Many brands use natural and nutritious ingredients, making them especially healthy. The powder can also be used on its own or as an ingredient in recipes, depending on your preferences. While the idea won’t suit everyone, protein powder is a powerful tool. All of the items featured here are good choices if you want the benefits of protein. Of all the items on this list, Perfect Keto is most optimized for the keto diet. This can make it a powerful option for many situations. Even so, the best product is going to depend on your needs and your situation. For example, Perfect Keto works well but it is fairly expensive and you don’t get much in a container. You also need to double the serving to get a decent level of protein. The list also highlighted various types of products, including plant-based, egg, whey and collagen powders. Each of these has advantages and disadvantages. They tend to suit different audiences too. Realistically, all of the items are great choices for ketosis and can help you include extra protein in your diet. I’d love to know what your personal favorite is.